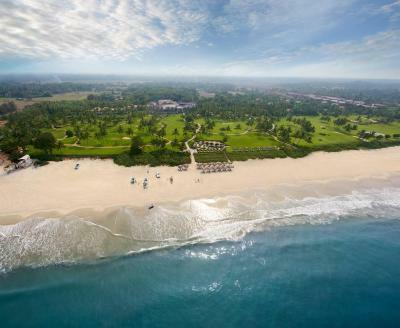 Lock in a great price for Taj Exotica Resort & Spa, Goa – rated 9.4 by recent guests! 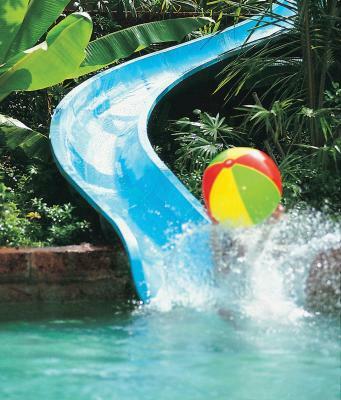 Excellent resort for kids - good play area, indoors & outdoors. Our baby also loved spending time at the beach and pool everyday. Must dine at their beach restaurant. 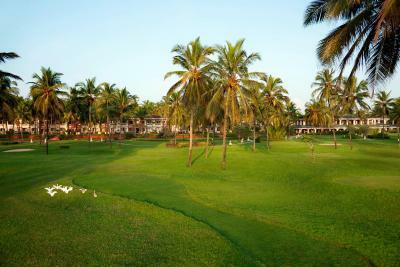 Mr Anunai is extremely professional, hard working, polite and courteous. He made sure that our stay is comfortable and hassle free. A very big thanks to the gentleman. 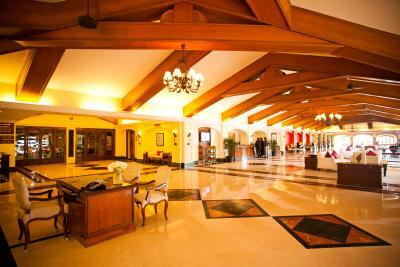 We were given early check-in , which helped us quite a bit,. Also staff behaviour at the time of check-in was very courteous. 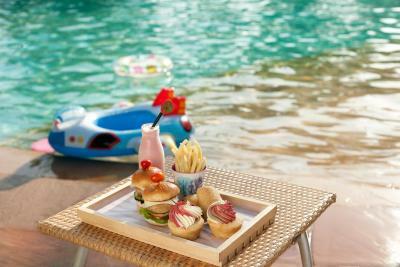 Kids enjoyed the pool and other activities. 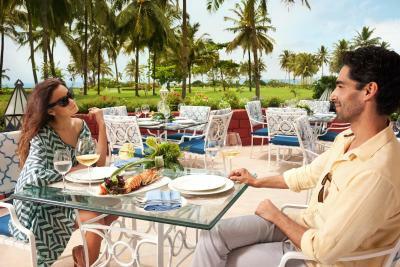 Best hospitality, super rooms, amazing resort, top quality food. An amazing experience and a great location. Taj never disappoints you. We were floored by the hospitality of the staff from the front desk to the kitchen. Somanth at the restaurant was a great guy who cared for all our gourmet needs. Chef Hitesh prepared us a chocolate croissant impromptu. Jaison who came to keep Wickets while we played cricket. And last Annabella who upgraded us to pool villa which was a really sweet gesture from Taj. Had so much fun in a long time. 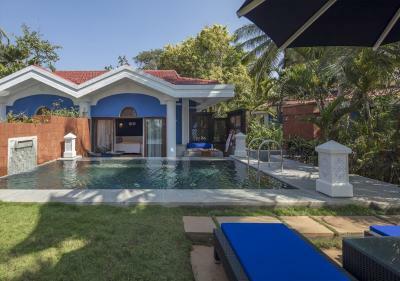 Taj Exotica Resort & Spa, Goa This rating is a reflection of how the property compares to the industry standard when it comes to price, facilities and services available. It's based on a self-evaluation by the property. Use this rating to help choose your stay! 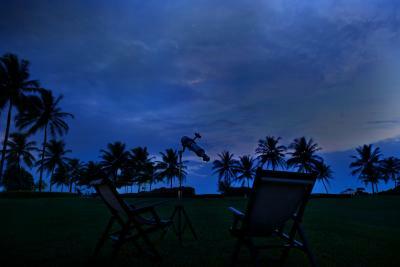 One of our top picks in Benaulim – and a guest favorite. Spread across 56 acres of landscaped gardens, the Mediterranean-style Taj Exotica Resort & Spa, Goa sits along a private beach overlooking the Arabian Sea. 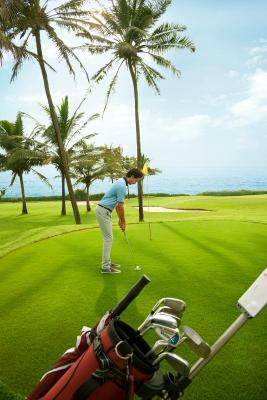 It features golfing facilities, a full spa and outdoor pool and 6 dining options await guests. Decorated in neutral colors, rooms feature classic dark wood furnishings. 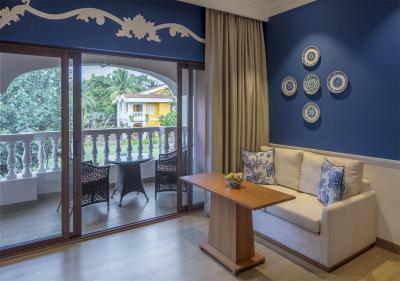 Each comes with a balcony overlooking the garden, pool or sea. 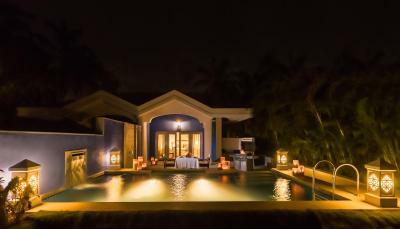 Select rooms offer a private pool or hydromassage bathtub. 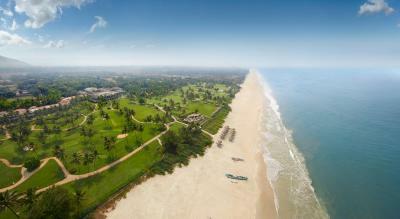 Taj Exotica Resort & Spa, Goa is 1.9 mi from Colva Beach and 7.5 mi from Madgaon City. 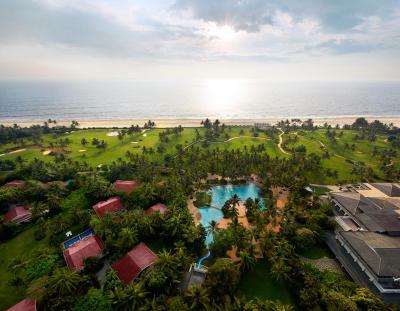 It is a 45-minute drive from Goa Dabolim Airport. Free parking is available. 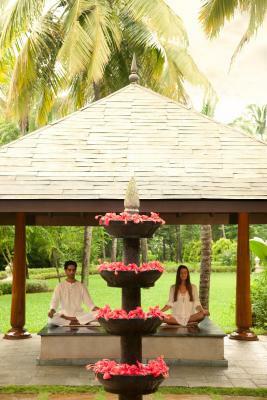 Sunny afternoons can be spent playing tennis or getting a relaxing massage at The Jiva Spa. 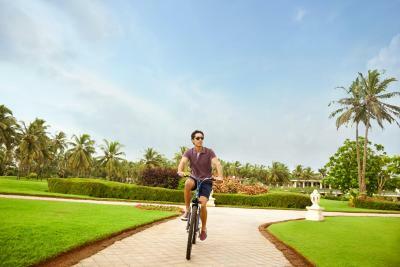 The resort also provides a fitness center and 24-hour room service. Little ones can enjoy a lineup of activities at the Children’s Activity Center. 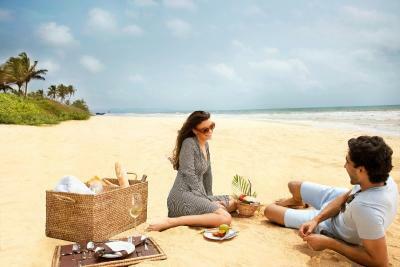 When would you like to stay at Taj Exotica Resort & Spa, Goa? 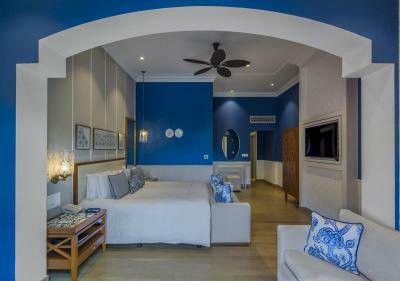 Enjoying sea views from its balcony, this air-conditioned room comes equipped with a flat-screen TV, minibar and personal safe. Private bathroom has a bathtub and free toiletries. This room type comes with 2 single beds. 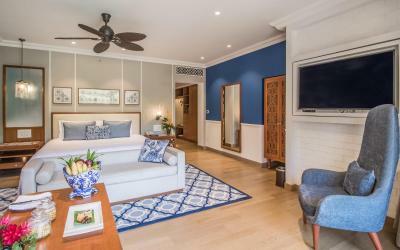 Offering garden views from its balcony, this air-conditioned room comes with a flat-screen TV, minibar and personal safe. Private bathroom has a bathtub and free toiletries. 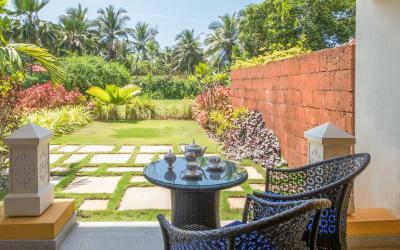 Spacious room with a living area, private pool and garden views. 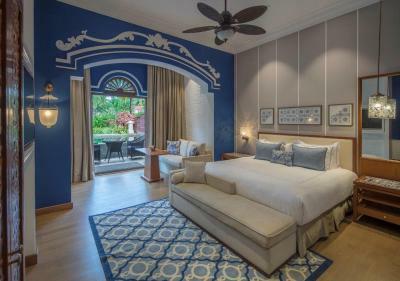 Featuring a plunge pool, this villa has one double bed. 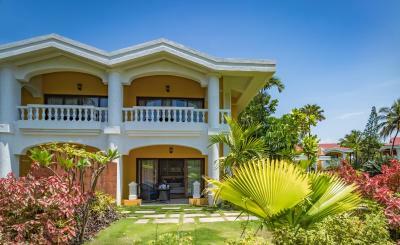 Offering views of the sunset, this villa has one double bed. 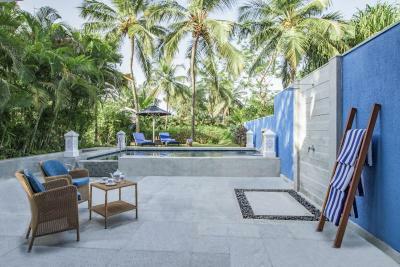 This villa features a seating area, tile/marble floor and bathrobe. 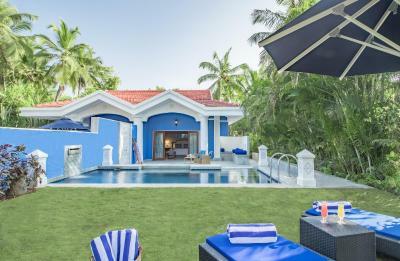 This villa has a bathrobe, flat-screen TV and air conditioning. 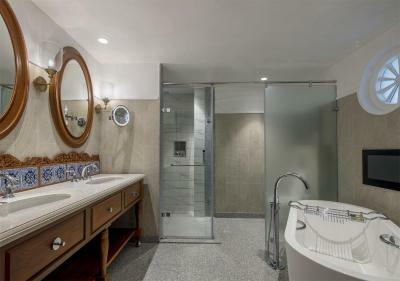 This suite has a bathrobe, tile/marble floor and seating area. This suite features a mini-bar, tumble dryer and electric kettle. 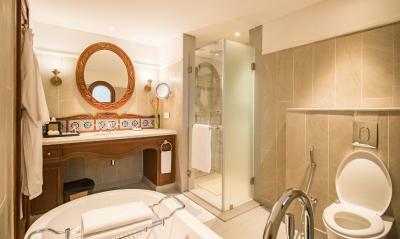 This double room features a tile/marble floor, mini-bar and flat-screen TV. 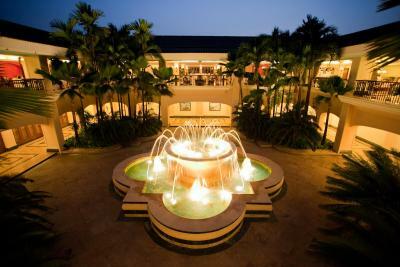 Located on the southwest coast of Goa, overlooking the Arabian Sea, this Mediterranean-style 5 star resort is one of the best five star hotels in Goa and has a way of slowing down time to a tranquil tempo. 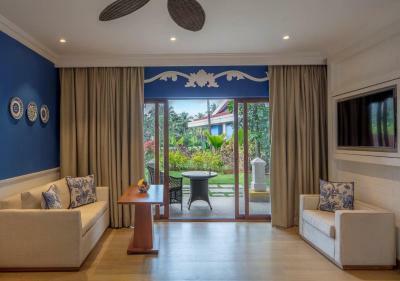 Built over 56 acres of land of which 45 is landscaped, with direct access to the beach, Taj Exotica is a showcase for relaxation with tropical-inspired design touches, grand architecture, a sun-drenched atrium, wide shady corridors, and flower lined patios . 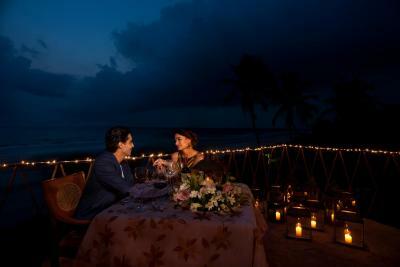 House Rules Taj Exotica Resort & Spa, Goa takes special requests – add in the next step! 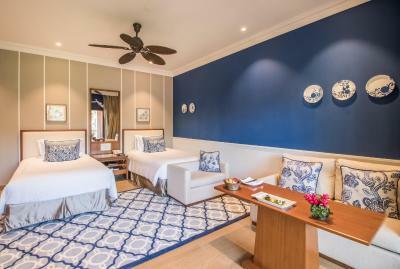 One older child or adult is charged INR 2500 per person per night in an extra bed. 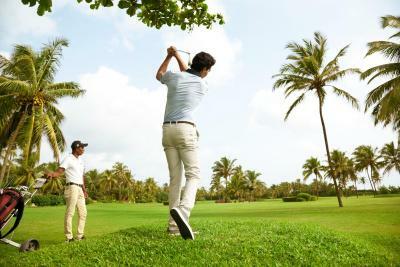 Taj Exotica Resort &amp; Spa, Goa accepts these cards and reserves the right to temporarily hold an amount prior to arrival. 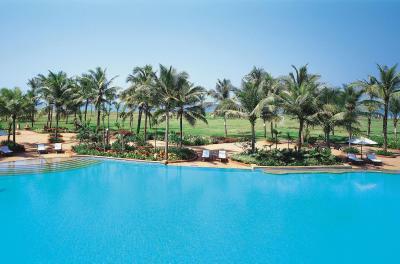 Taj Exotica Resort & Spa, Goa accepts these cards and reserves the right to temporarily hold an amount prior to arrival. 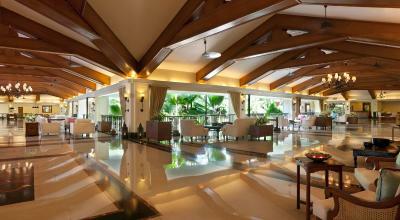 Please note that the property provides complimentary airport transfer for minimum 2 nights stay. 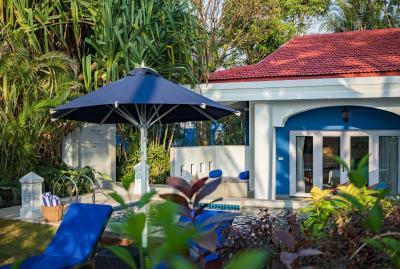 Please note pets are allowed only in Villa Room Garden View and Premium Villa Room Garden view room categories and pets will not be allowed in the Food & Beverage outlets, lobby, pool and the fitness center. 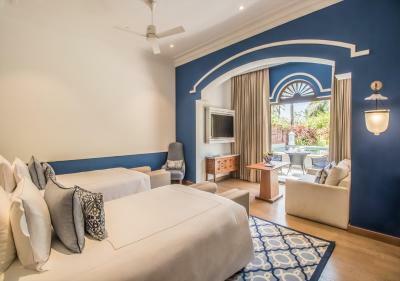 A non refundable fee of INR 5000 plus applicable taxes per night per pet will be charged per room (a maximum of 2 pets are allowed in the room). The property accepts pets (cats & dogs) weighing less than 30 pounds. The hotel was full during our stay and the baby chair + pram we got (requested much before stay) was really poor quality. Excellent breakfast buffet, lovely people, the best experience was sitting outside lobster villAge with a glass of cocktail and watching the sunset. Simply everything The stuff The facility Food The beach The pool The gym The spa The atmosphere Breakfast was perfect and people are too kind to all guests . 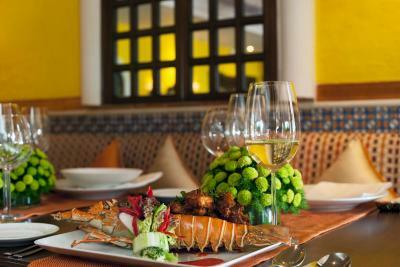 Lobster village restaurant is absolutely a place to visit wither you are hotel guest or not. 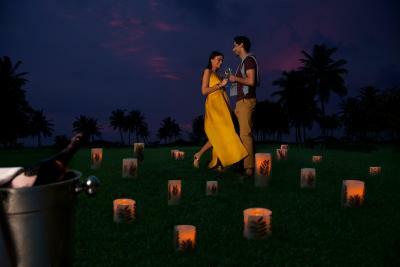 Evenings could be more better by adding some entertainment!! Room, bed,breakfast n the staff Superb! 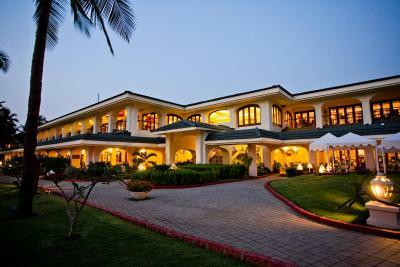 Immaculate resort with amazing staff. Nothing was too much trouble. Fabulous time.